For the 8th straight season and the 3rd straight at home, the Seahawks conclude the preseason against their former division rivals the Oakland Raiders. 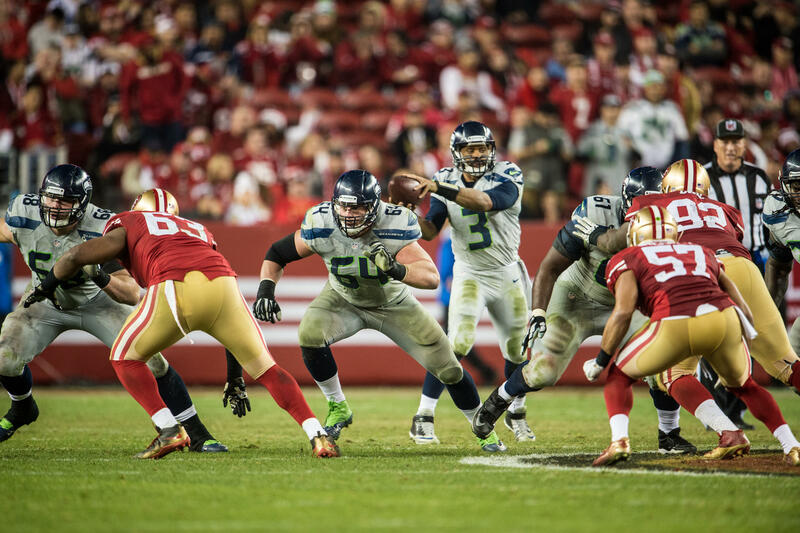 In their last 7 preseason meetings the Seahawks are 6-1. Seattle’s only loss came in 2010 in Oakland. 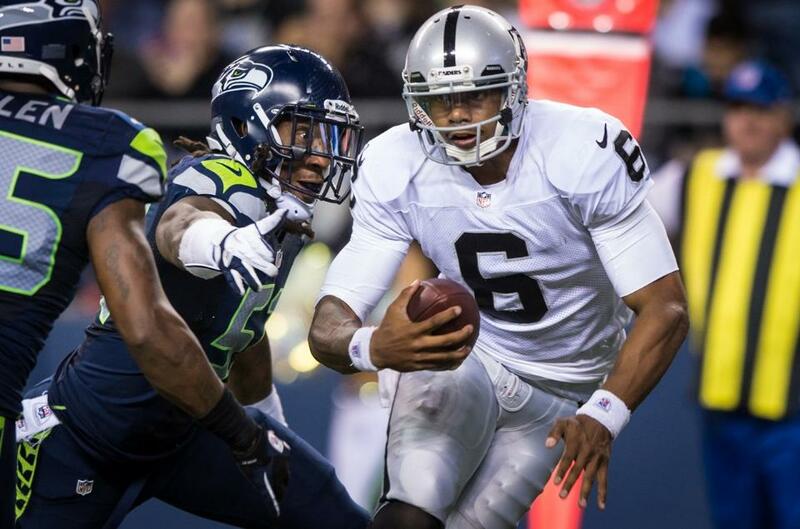 Last week the Seahawks defeated the Green Bay Packers 17-10 while the Raiders lost at home to the Chicago Bears 34-26. The last preseason game is mainly for players who are on the bubble to make the week one roster to show what they’ve got to impress the coaching staff and convince them they deserve the chance to be on the team. Here are some things to watch on Thursday night. If you are watching the game on television this week and want to watch Russell Wilson and the rest of the starters, make sure your TV is on right at 7. Don’t blink either because you might miss it. The starters are only expected to see a series this week (if they play at all) and then the backups will play the rest of the game. As is the case with most of the other teams around the league, the last preseason game is a tryout for the backups to prove that they are one of the best 53 men on the roster. There are several guys who are fighting for a Seahawks uniform come September but I spotlight five players to keep an eye out for on Thursday night. I believe these players are on the bubble to make the final roster and a strong performance on Thursday night could be the difference between a trip with the Seahawks to Carolina for week one and perhaps a spot on the waiver wire. 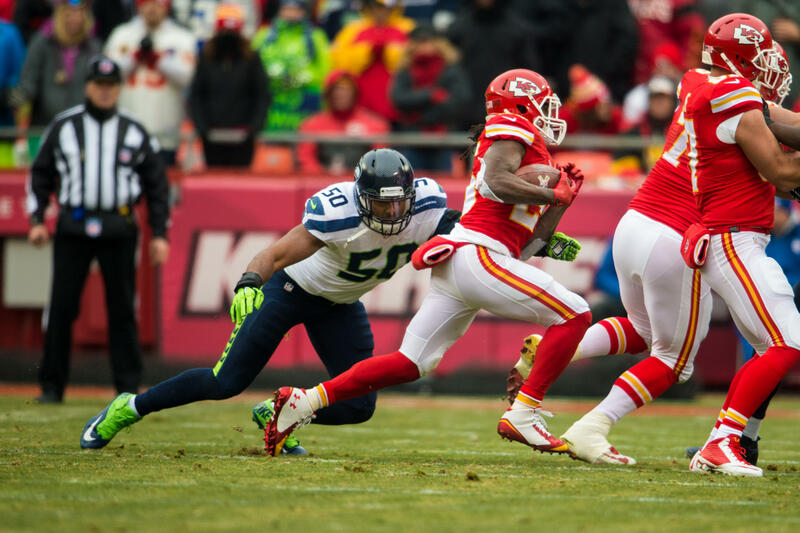 Spencer Ware: Ware is battling Michael Robinson for the starting fullback job. I do not expect Ware to beat Robinson out but he will get a good look on Thursday. It will be interesting to see if Seattle keeps Ware on the active roster or if they release him, potentially with the hope they can place him on the practice squad if he clears waivers. Cooper Helfet: With the Seahawks weak tight end corps, Helfet is battling Sean McGrath for the 3rd and final tight end spot. Helfet’s numbers in the preseason have almost mirrored McGrath’s. In three preseason games, Helfet has three catches for 47 yards while McGrath has three catches for 37 yards and a touchdown. Helfet needs to outperform McGrath this week and if he does he could win a spot on the roster. Rishaw Johnson: Among a position group filled with young talent, Johnson may be an odd man out. Johnson’s main competition at offensive guard are rookies Jared Smith and Ryan Seymour. 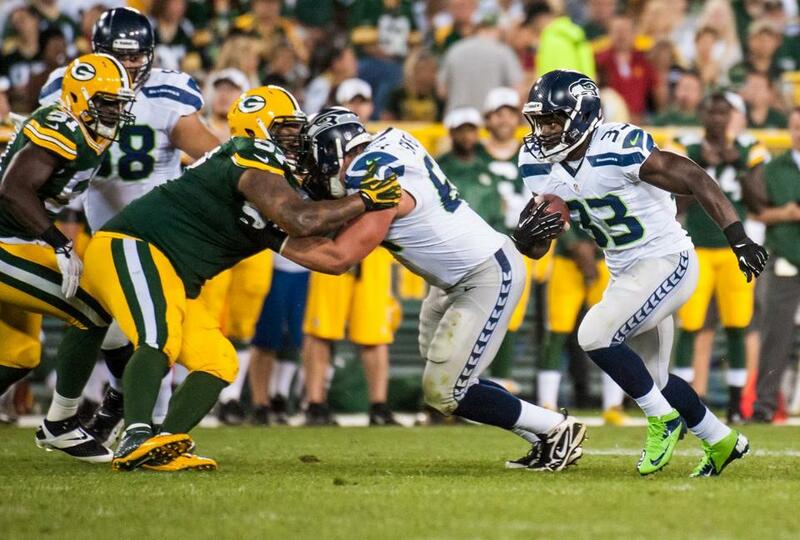 The mistakes guard Lemuel Jeanpierre made against Green Bay may have raised Johnson’s stock. Heath Farwell: If Farwell gets cut it would come as a shock to me. It is possible though. Farwell is a tremendous asset on special teams and his roster status may not come down to his play at linebacker. If the coaching staff thinks someone can make a stronger impact then Farwell on special teams, he will most likely be cut come the end of the weekend. Jaye Howard: Howard remains a bubble player to me even after the news that Jesse Williams has been placed on injured reserve and will miss the 2013 season with a knee injury. 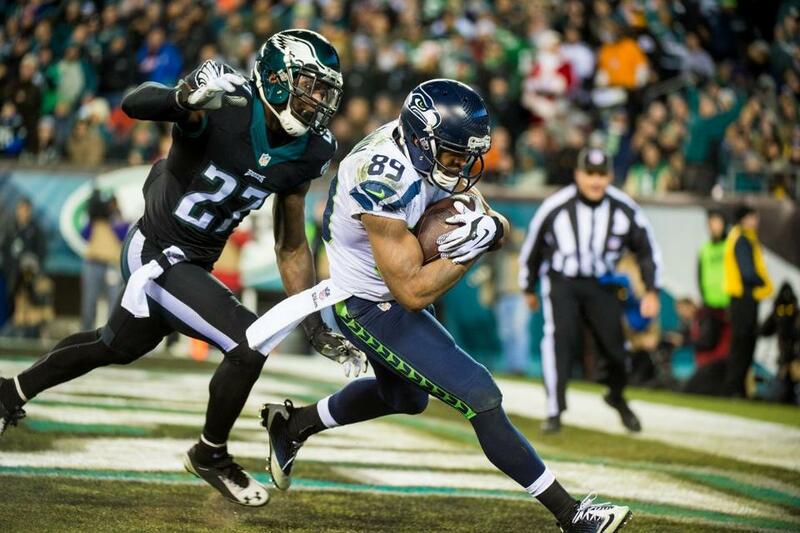 The emergence of Jordan Hill I believe will determine if Howard is a Seahawk this season or not. Hopefully Howard will get a good amount of playing time this week to prove he can be solid depth to a defensive tackle group that has all of a sudden become one of the weaker groups on this team from a depth perspective. The Oakland Raiders are coming off a 4-12 season. They have a new quarterback in Matt Flynn, whom they traded for from Seattle during the offseason but this week the spotlight is on another Raiders quarterback who is suddenly a strong candidate to start Oakland’s first game. Due to arm soreness (where have I heard this before…) Flynn will not play on Thursday night. Instead Terrelle Pryor will start for the Raiders. Pryor is viewed as a lock to be the backup quarterback in Oakland this season but due to poor play and injury by Flynn, Pryor is now in a position to make his case to be the Raiders starting quarterback this season. It would be the second time in as many years that the presumed starter, Flynn, would be beat out by one of his backups. I think that Pryor will see an extended amount of playing time and if he is successful in moving the ball I predict he will be Oakland’s starter week one. When you are a 4-12 team and still in rebuilding mode you are going to have a plethora of weaknesses on your team. For the Raiders, no weakness is greater than along the offensive line. The Raiders lost starting left tackle Jared Veldheer to a torn triceps earlier in the preseason. Rookie Menelik Watson will start at left tackle for Oakland Thursday night. As sad as it may be to say, even though Veldheer arguably Oakland’s best offensive lineman, it is skeptical to believe Veldheer would be good enough to be Seattle’s starting RIGHT tackle. The running game will be my focus for Oakland this week. I am not expecting a whole lot out of running backs Rashad Jennings and Jeremy Stewart but if they can move the ball my optimism would grow if I was a Raiders fan heading into the regular season. Random Thoughts: With this being the final game preseason game comes my annual five dollar bet on the game with my Raiders friend Josh. I have never lost and he has never seen the Raiders win in Seattle. I expect to win again this season. 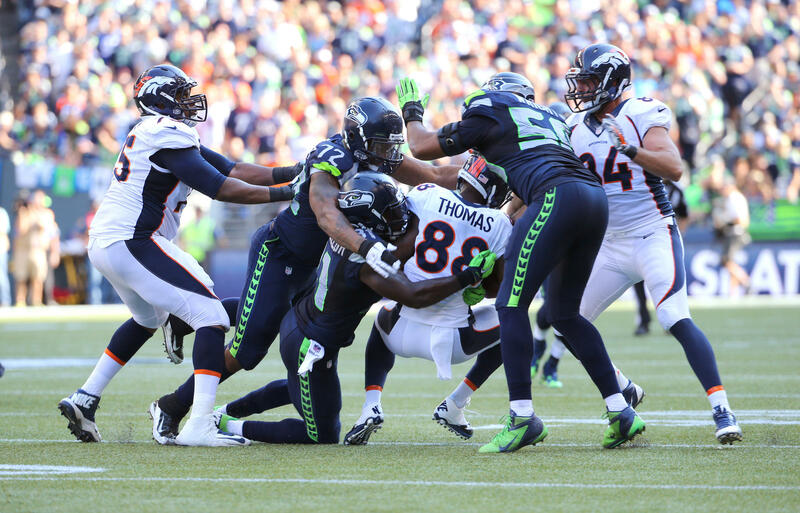 If we can beat Denver by 30 at home during the preseason, I think this will be an easy bet to win… The Seahawks will wear blue jerseys and blue pants most likely this week… The weather forecast looks bleak, even for a preseason game. I’ve seen a game time temperature of 71 degrees and a 40 percent chance of rain… It’s going to be a busy day Thursday. On tap: lunch at Dixie’s BBQ in Bellevue, pre-gaming at a bar downtown, getting into the stadium right as the gates open so I can watch warm-ups and Josh can get autographs at the Raiders tunnel, and finally the game… My friend James is also taking his girlfriend Christine to her first game. The best part? They are sitting two rows down and three seats to the left of me. That will be a lot of fun I imagine… Curt Menefee and Brock Huard have the call for Q13 FOX this week… No word on the referee… The starting defense will be introduced this week during pregame introductions… Sidney Rice is the only Seahawk on my fantasy team and he is my #3 wide receiver… I think I like the Marshawn Lynch “Madden 25” commercial than the one Russell Wilson is in. Lynch is just a goofier guy and the advertisement he is in is slightly more ridiculous… This is your final warm-up, 12th Man. Make sure you shake the rust off on Thursday because the next time we all get together it will be to break the Guinness world record for “loudest crowd roar at a sports stadium.” (I broke that story, you know). I’m not trying to overlook the Raiders game but I’m just saying make sure you know what is on deck for the next game. Prediction: The game will get off to a slow start but Tarvaris Jackson, Brady Quinn, and Christine Michael will warm-up and score multiple touchdowns. The defense will feed off the 12th Man and will not have any trouble stopping Oakland’s running game. Overall, I expect this game to be a cakewalk and could be over by halftime. My game review will be posted Friday afternoon. Check back this weekend for an analysis of the Seahawks final roster cuts. Then a week from this Saturday be sure to check back for my preview of “Back to Football” weekend and our week one matchup against the Carolina Panthers. Enjoy the game. Go Hawks!